Just Chill, Shake and Gulp with Goody Gulp + A Giveaway! Do you give your kids treats? My kids love their chocolate drink treat even me myself love an ice cold chocolate drink like Goody Gulp Chocolate Milk Drink! Have you tried it na? 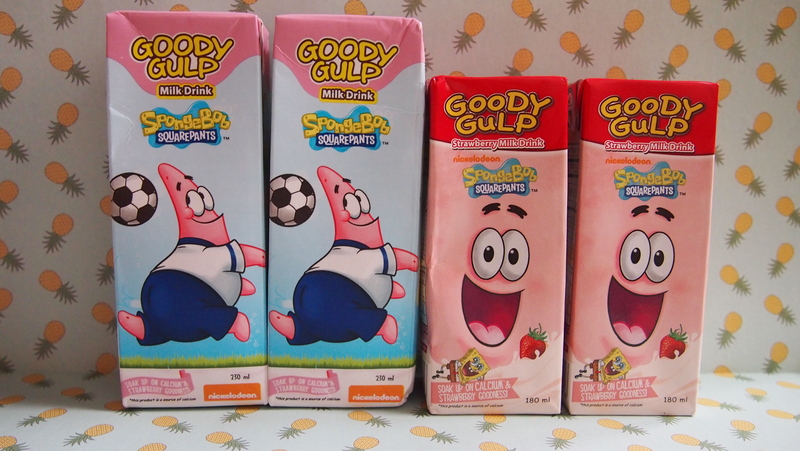 Goody Gulp also comes in Strawberry Milk Drink! It's SpongeBob and Patrick Star! 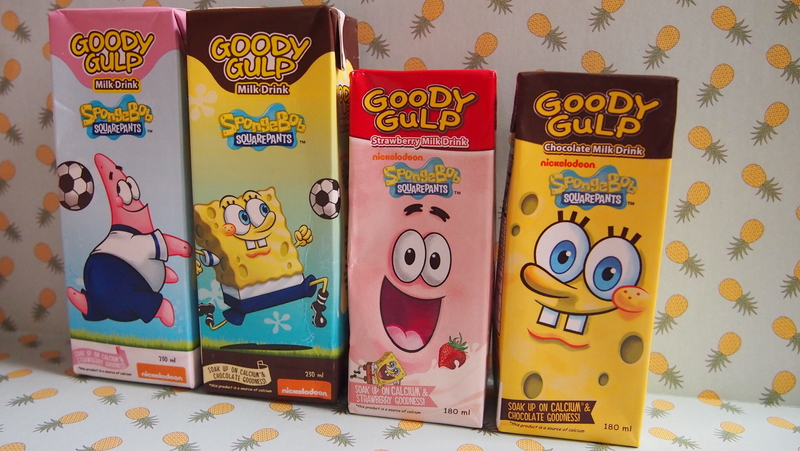 Goody Gulp is a "deliciously healthy" milk drink made from New Zealand Milk with no preservatives. It's natural source of calcium, vitamins, and minerals for kids young and old! This is the first ready-to-drink milk product licensed by Nickelodeon for the Spongebob SquarePants franchise. 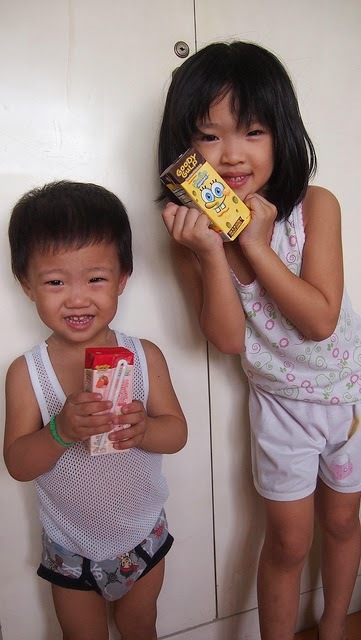 Both my kids have Goody Gulp once in awhile with their merienda and they really fight over who will have the Chocolate or Strawberry! Hehe! 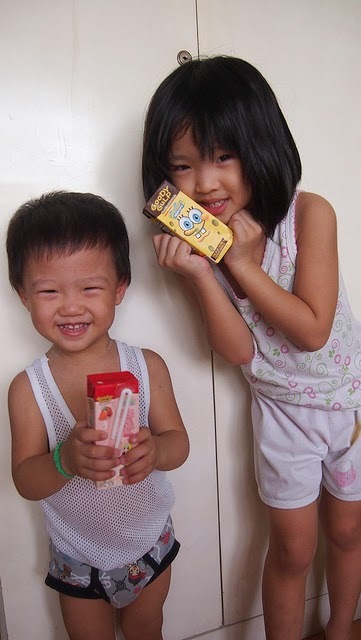 Y likes the Chocolate while R likes.. Well, both hehe! Thank you Mommy Bloggers Philippines for sending these our way. 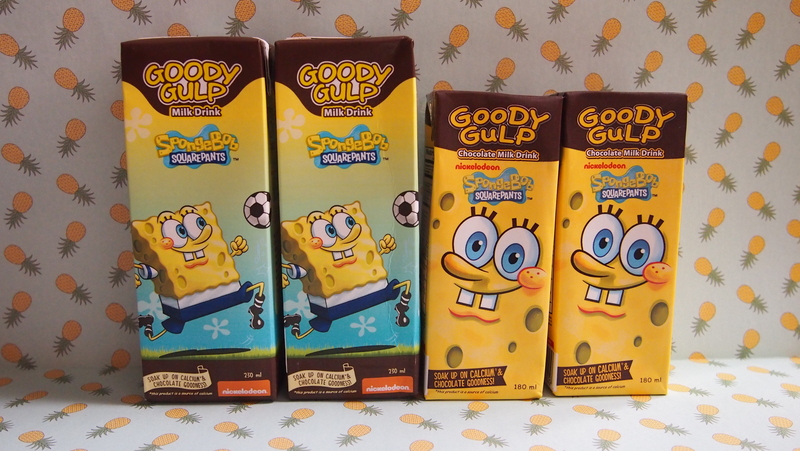 We are actually down to 3 Goody Gulps! 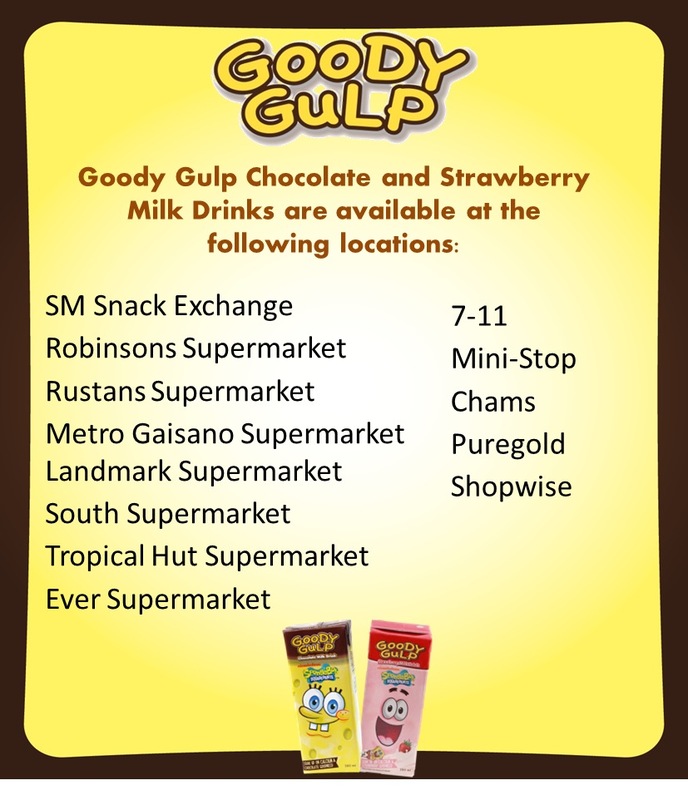 Goody Gulp comes in 2 sizes, 180ml and 230ml which is available in your leading groceries and convenience stores! Do your kids like Goody Gulp as much my family does? 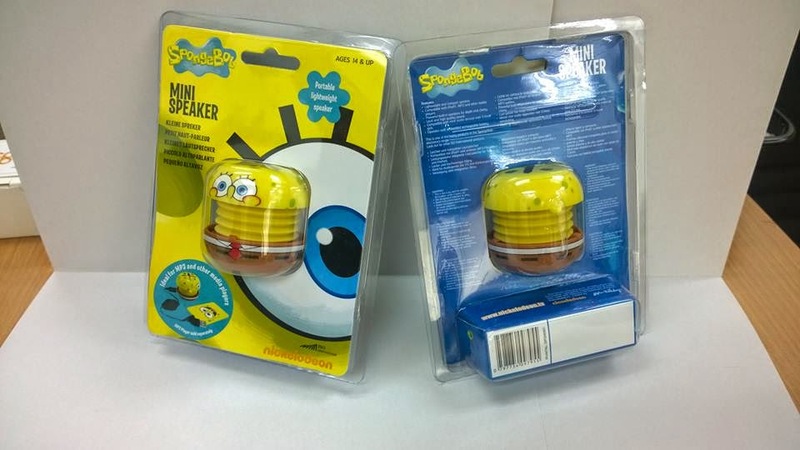 Well, I'm giving away a Limited Edition SpongeBob Speakers to 1 winner and Goody Gulp Gift Pack each to 2 winners. That's 3 winners for 3 awesome prizes! Joining is very very easy! Win this super cute speakers! Or win a gift pack? Just go to the Rafflecopter widget below and answer the survey. That's it pansit! Contest will run from today until October 31, 2014. This contest is open for Metro Manila only. Or if you can't see the widget, you can go to my Facebook Page, Apples & Dumplings and join from there! Good luck! For more information on Goody Gulp, folllow and like their social media accounts! Hi there! I hope this is open nationwide :) My fave variant is chocolate! Hello Nadine! Sorry it's for Metro Manila readers only. We love the chocolate variant!